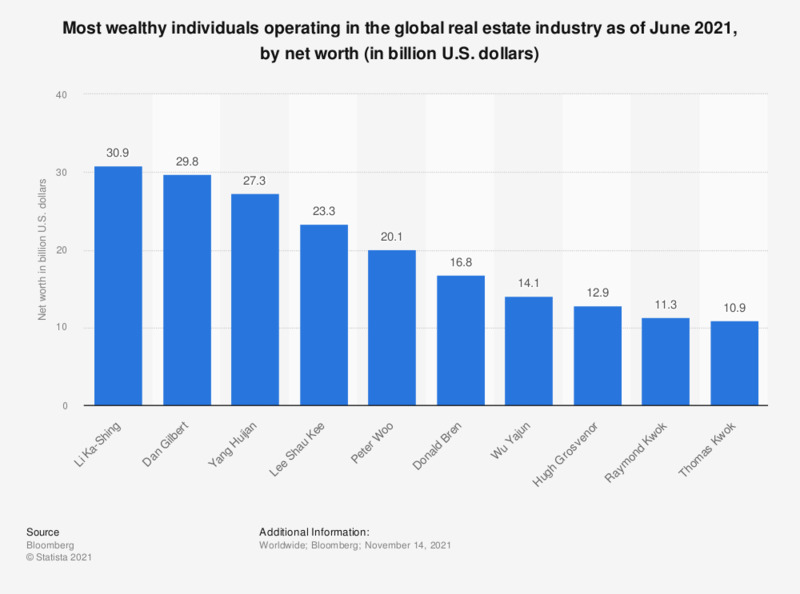 This statistic lists the richest individuals involved in the global real estate industry in 2018, by net worth. Hong Kong business magnate Li Ka-Shing, who recently retired as Chairman of the Board of CK Hutchison Holdin and CK Asset Holdings, led the list with an estimated net worth of 29.9 billion U.S. dollars. American businessman Donald Bren, owner of the Irvine Company, came in fourth place with an estimated net worth of 17.2 billion U.S. dollars. Everything On "Investments of High Net Worth Individuals" in One Document: Edited and Divided into Handy Chapters. Including Detailed References.